From Giorgi Natenadze’s wine cellar, it was made from almost extinct grape varieties grown at well over 1,000 metres of altitude, painstakingly hand-harvested from wild vines up to 400 years old. The liquid takes on a unique almost mythical stature. It’s made in a time-honoured fashion, in qvevris with 6 months of skin contact. The wine is firm and smoky, with a core od dusted plum and a bracing, grippy texture. 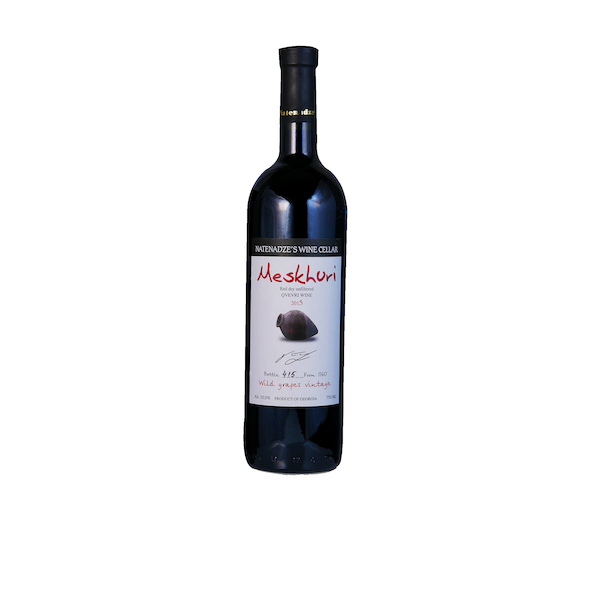 The wine is very fruity and well-balanced with nice, silky tannins. These are blends of the rare grape varieties: Meskhuri Sapere, Kharistvala shavi and Tskhenis dzudzu Tetri ( from oldest alive 400 years of vine). Georgian method – fermented and aged in Qvevri with skin contact 6 months.